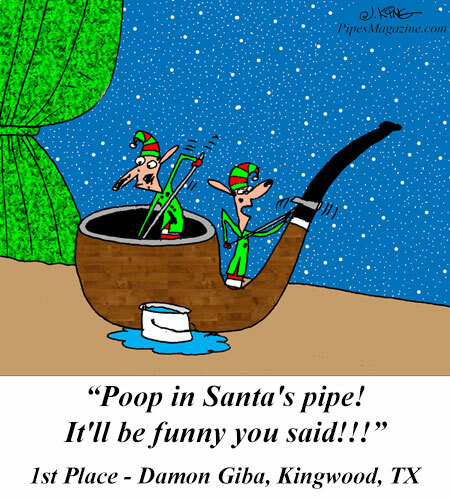 We are pleased to announce the December 2018 Winners for the PipesMagazine.com Cartoon Caption Contest Sponsored by SmokingPipes.com and Savinelli. 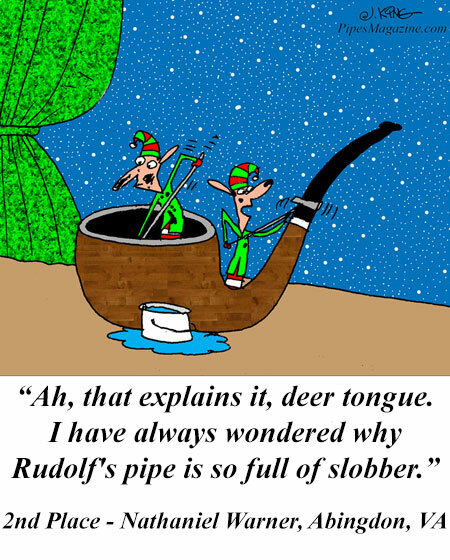 Welcome to the December 2018 Cartoon Caption Contest. 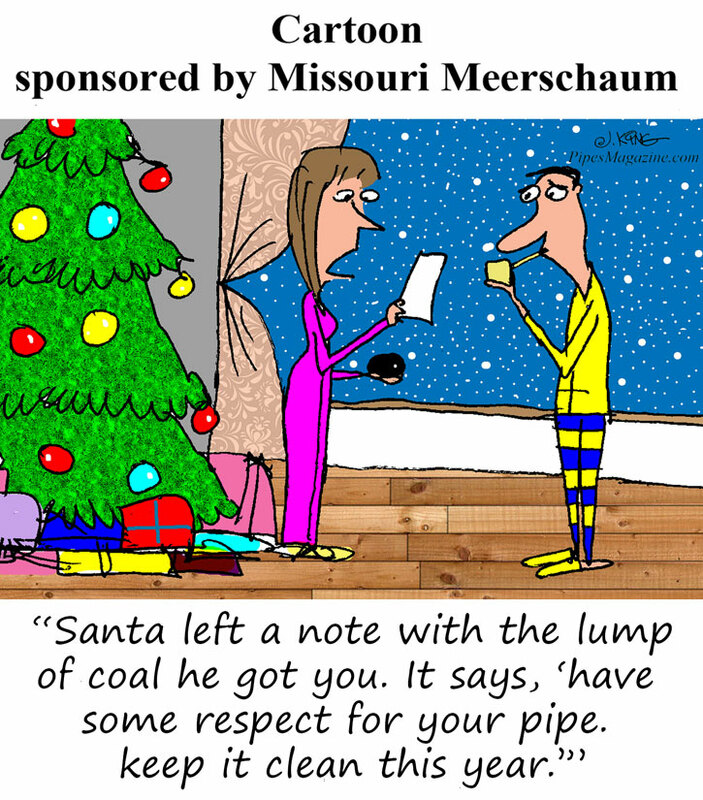 Cartoonist Jerry King creates pipe cartoons exclusively for PipesMagazine.com every month. Each month, one of the four cartoons will be published without a caption so contest entrants can submit their own entries. SmokingPipes.com and Savinelli co-sponsor the monthly contest. 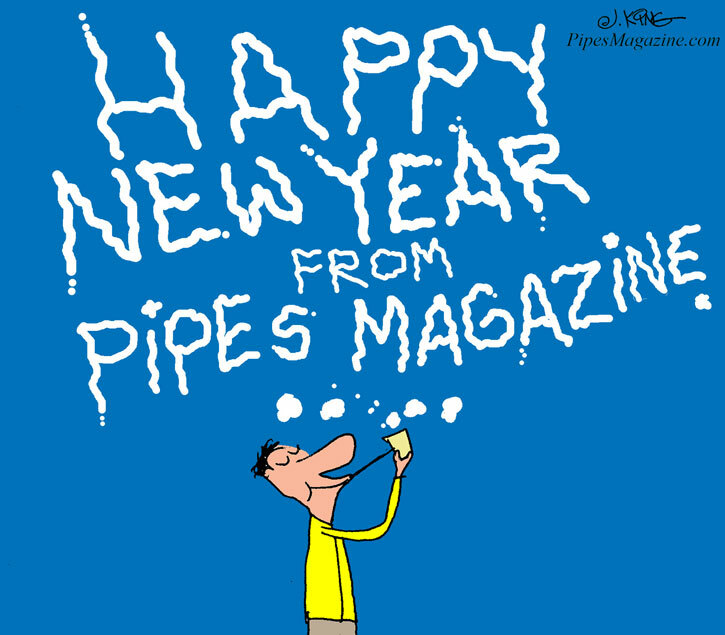 PipesMagazine.com Editorial Staff will judge the entries and SmokingPipes.com will award the prizes. 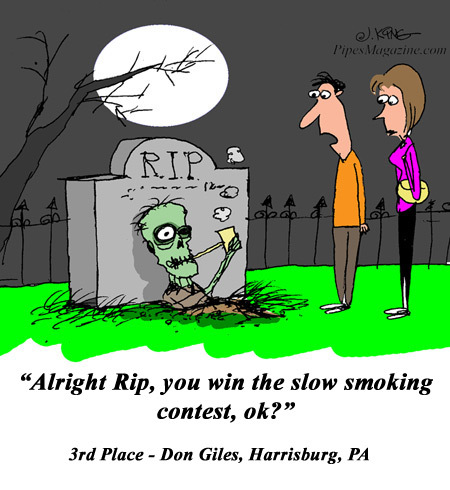 The 1st, 2nd, and 3rd place winners will each receive prizes as follows. For legal and logistical reasons, the contest is only open to residents of North America, excluding Quebec. 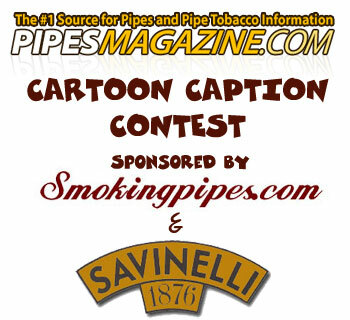 We are pleased to announce the November 2018 Winners for the PipesMagazine.com Cartoon Caption Contest Sponsored by SmokingPipes.com and Savinelli. 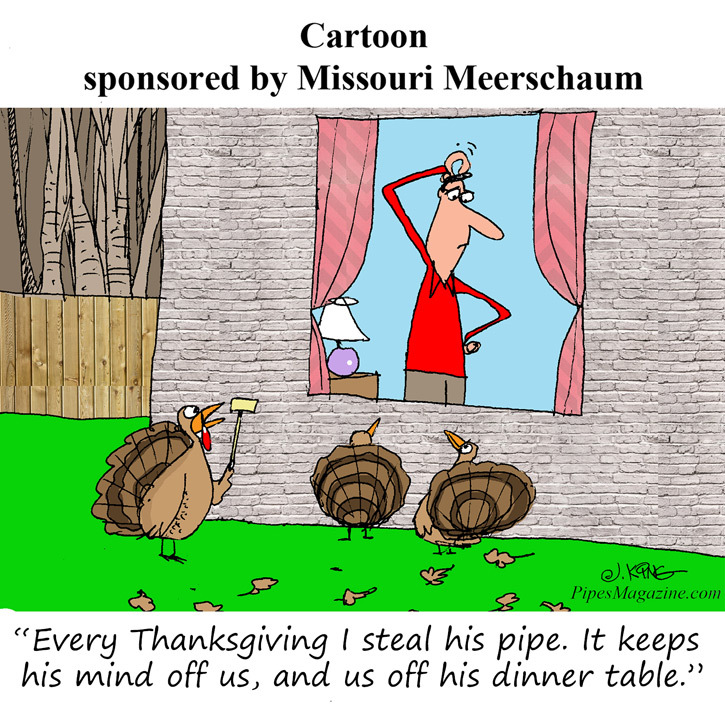 Welcome to the November 2018 Cartoon Caption Contest. 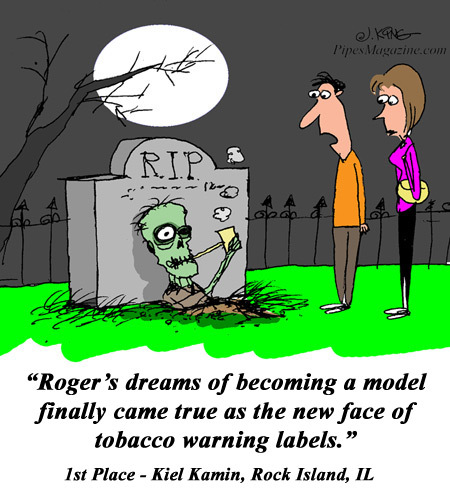 Cartoonist Jerry King creates pipe cartoons exclusively for PipesMagazine.com every month. 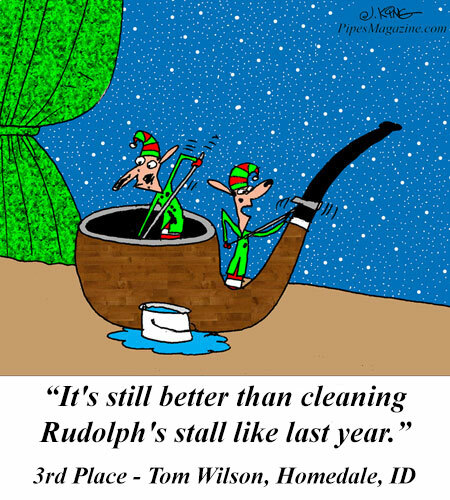 Each month, one of the four cartoons will be published without a caption so contest entrants can submit their own entries. 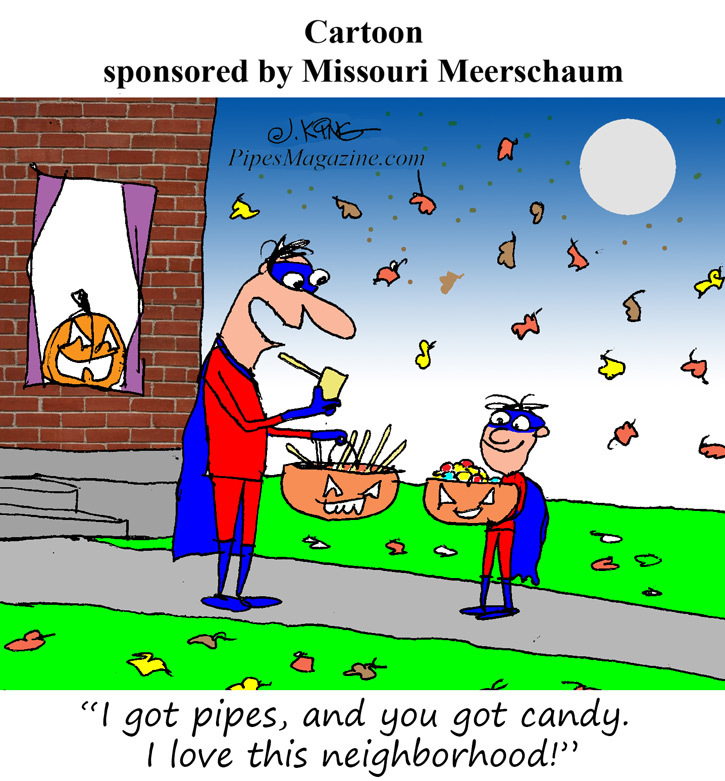 Welcome to the October 2018 Cartoon Caption Contest. Cartoonist Jerry King creates pipe cartoons exclusively for PipesMagazine.com every month. 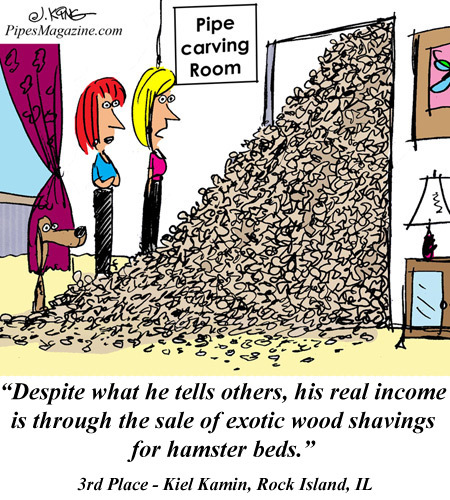 Each month, one of the four cartoons will be published without a caption so contest entrants can submit their own entries.